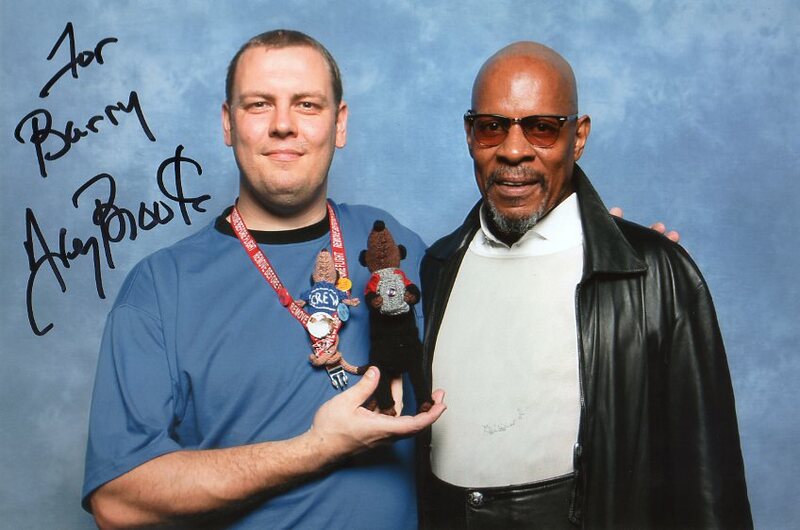 Barry has been at the Star Trek 5 Captains convention, and has just sent me fabulous new photos! This is Scott Bakula, aka Captain Jonathan Archer with his Meerkatted self and of course Porthos the beagle. 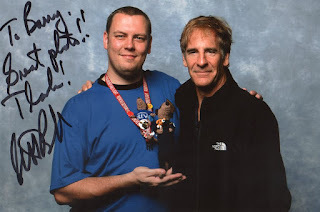 Barry is wearing "convention crew meerkat" round his neck! 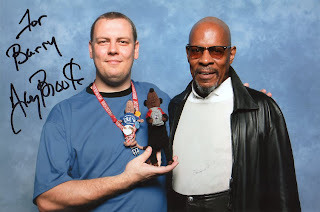 Avery Brooks, aka Captain Benjamin Sisko, the Emissary of the Prophets. His meerkat is holding the orb of Prophecy. Kate Mulgrew, aka Captain Katherine Janeway. 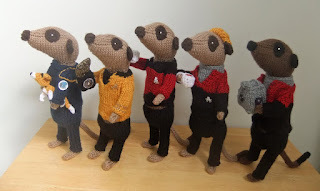 Meekats available in Etsy and Folksy. If the crew member you desire is not currently in stock, just ask - I'll boldly knit.